Opera tickets in New York are easy to buy online before you leave. The Metropolitan Opera in Lincoln Center is a vibrant home to many talented artists. 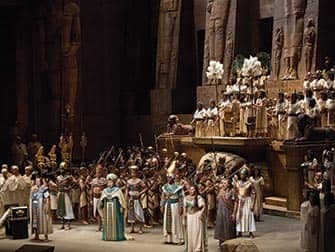 Enjoy one of the world famous operas, like Don Giovanni, La Bohème or Aida. When you visit an opera at Lincoln Center you’ll be amazed by the richly decorated lobby and excellent acoustics of The Metropolitan Opera House. It’s great place for a classy night out in New York. 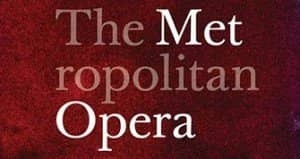 The Metropolitan Opera is the largest classical musical organisation in North America. It’s known for hosting some of the world’s greatest voices. The opera season runs from late September until the end of May. 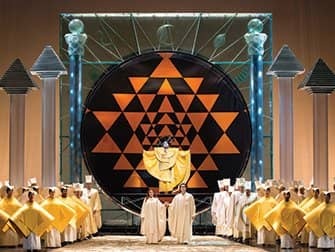 The Metropolitan Opera presents around 26 different operas, performing 200 times each season. See above for the Metropolitan Opera Schedule and to book tickets. Since 1976, The Metropolitan Opera had been under the musical direction of James Levine. In 2016 Yannick Nézet-Séguin took over his position. How to buy the Opera Tickets? You can buy Opera tickets by checking the performances here. The tickets can be paid by credit card and are sent by e-mail or shipped to your address. You can also pick up the tickets from a local pick-up office in New York for free. If you are not able to print out your e-tickets, you can also drop by the office. The office location is very central, near Times Square. Eric’s Tip: In front of all seats you can see a small screen with translations of the lyrics. This makes it easier to follow the performances. The available languages vary per opera, though most of the time they offer English, German, Italian and Spanish.